You are here: Home / Family Life / Creative Uses for Lemon Balm When it Takes Over Your Garden! Several years ago I decided I wanted to grow lemon balm. Great idea, right? Well, now I am constantly looking for new uses for lemon balm because the stuff is growing like a weed and taking over the back of my house. Seriously. Why can’t I get my cucumbers and squash to grow like this? Growing lemon balm might have been a great idea but it requires near-daily maintenance to make sure it stays where I put it. If you have a ton of lemon balm in your own yard, here are a few things I have found so far to do with it. 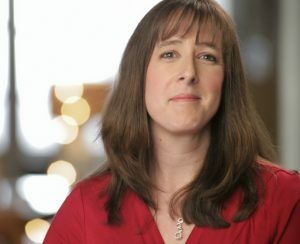 Check out the medicinal uses for lemon balm and keep in mind that I am not a doctor, nor do I play one on TV. Don’t take medical advice from strangers but lemon balm is great as a relaxation aid. To make a sleepy time syrup, simmer 1 cup of lemon balm leaves in just enough water to cover them. Let it simmer for about 30 minutes or until you have reduced the liquid by about half. Let cool and strain. Add honey (about 1/4 cup) and stir until dissolved. A tablespoon or so at night of this lemon balm syrup may be helpful for better sleep. DO NOT give to babies and toddlers or anyone else that shouldn’t have honey. Store this in the refrigerator or a week or two before tossing. Steam helps open up your pores and improves the clarity of your skin. Adding fresh herbs to the hot water not only makes it smell good but can also help open up your sinuses, improve mood, etc. depending on the herbs you use. 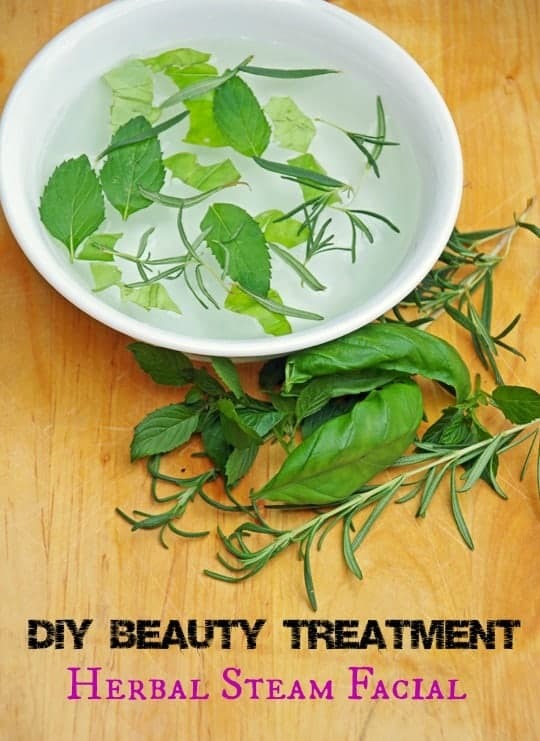 Check out this post about making an herbal steam facial for a few tips. 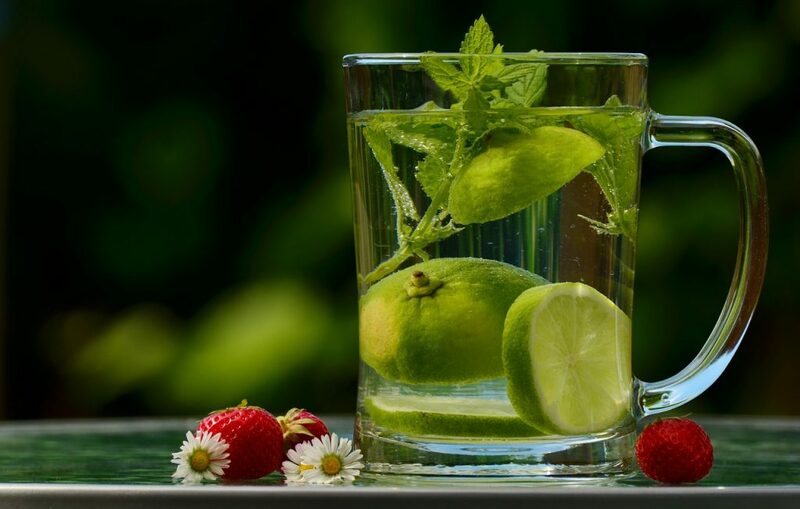 One of my favorite uses for lemon balm is to add it to cold water for a refreshing summertime beverage. You can also add it to hot water for a nice cup of tea. You can muddle the lemon balm leaves before adding ice cubes and water to boost the flavor. If you are using hot water, you really don’t need to muddle the leaves since the heat will extract more of the oils. Mosquitoes hate the smell of lemon balm so take advantage of this! Grow lemon balm right by the back door and every time you go out, rub a few crushed leaves onto your skin. Just grab a handful, rub in your hands for a second, and then rub all over your arms and legs to protect from bugs. 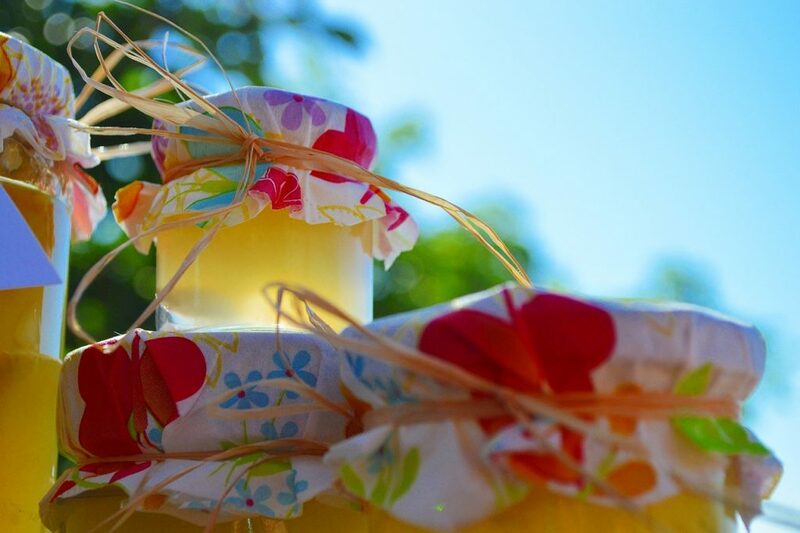 Check out this recipe for Lemon Balm Jelly from Just a Pinch. This stuff looks seriously delicious. It’s just some lemon balm, lemon juice, water, sugar, and pectin. Put on toast, in a bowl of plain yogurt, on top of cream cheese to be scooped up with crackers or wherever you want that sweet/tangy flavor of lemon and sugar. Lemon balm has a light lemon flavor without all the tartness from actual lemons. 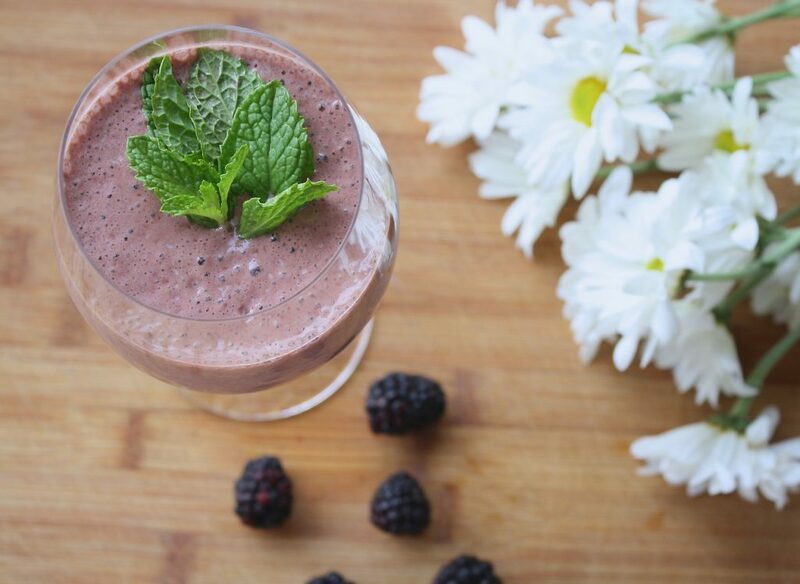 Add a handful to your morning smoothie for a light, fresh flavor. We eat a ton of fruit salad in my house. To add a bit of a fresh, lemony taste to it, just roll up a few lemon balm leaves and finely slice them. Toss into a salad and enjoy! You can also add it to many other recipes as well. Check out my recipes for baked rice or Thai lettuce wraps if you need inspiration. 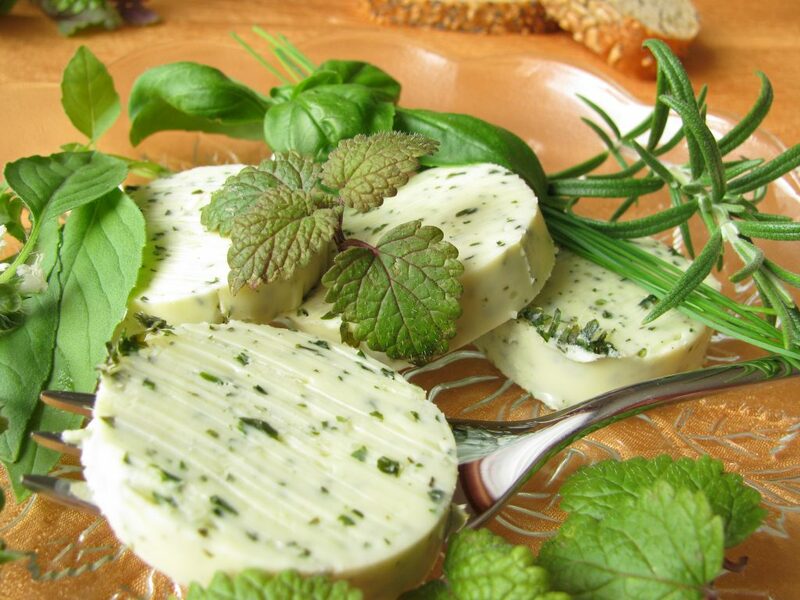 Herb butters are delicious and easy to make. For lemon balm butter, just soften a stick of butter and mix in about 1/4 cup of finely chopped lemon balm. Add a dash of lemon zest and salt. You can replace some of the lemon balm with other herbs like rosemary or thyme. Use this herb butter recipe on top of seafood or vegetables the next time you make dinner. Fill a mason jar half full with fresh lemon balm leaves. Top them with white wine vinegar and add the lid. Place the jar in a dark place for 3 to 4 weeks. Strain out the leaves and bottle the vinegar. Use lemon balm vinegar in homemade salad dressings, tuna, etc. for a delightful hint of lemon. 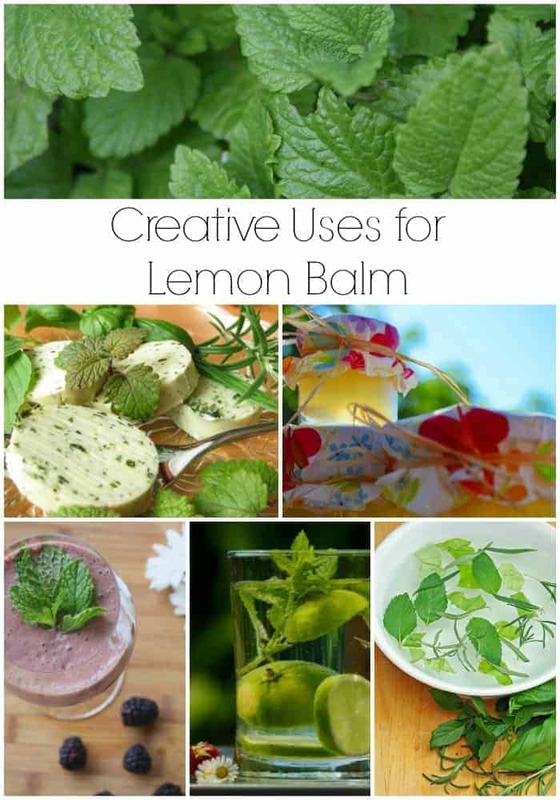 There are a ton of creative uses for lemon balm that I really want to try in the coming months. I am getting tired of just pulling it all out and tossing it in the compost bin! Do you have other ways to use lemon balm?